cassette and 7" vinyl releases, as well as hosting select events. funk and everything in between. The Plastic Fangs are an explosive Brisbane act who create sounds inspired by surf guitar, punk rock, psychedelia, grunge, shoegaze and psychobilly. The New Buzz are West End's hottest deep soul, feel good, party band! A fresh collective bringing the grit of the streets to their heavy soul and raw funk stylings. The New Buzz are a fresh collective of seasoned players who bring the dust and grit from the streets of West End to their deep soul and raw funk stylings. Like We Used To features electro-soul diva Jess Lean of The Brains Trust. This floorsmasher is a non-stop soul party crammed into a lean two and a half minutes. With a strong nod to Northern Soul, this tune will snap ankles, slip backbones and take any party up a level. Take seven jazz cats and add a bluesman up front and you got yourself a stew on. Their debut exudes that down-home gospel sound with a fresh funk kick. Inspired by the masters of rhythm and blues, the ecstasy and tragedy of love and the beauty and gothicism of the bible. Performed by non-religious soul, blues and jazz-worshipping Brisbanites. Dance floor smashers and posterior wiggle inducers The Holy Rollercoasters follow up their debut double single with a down-home holiday soul jam about trying to get through the trials of the first family Christmas since your lover left. The track features a funky backbeat and signature punchy horns whilst delivering a somewhat sombre tale. Garage-afro-soul group from Brisbane. The newly formed 7 piece, featuring some of Australia's best travelled musicians, play music that is dirty, dangerous and full of soul. Valley Heat's super catchy melody and face-melting sax solo take you back to a time where funk and soul reigned supreme. For fans of Daptone Records. 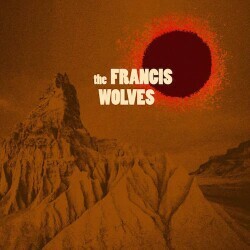 The Francis Wolves are a garage-afro-soul from Brisbane who take elements of funk, psychedelia, Ethio-jazz and afrobeat and spit out a horny cocktail of danceable fire. The Double Happiness is a spooky indie pop guitar band, high on reverb, surfing the City Cat waves, creating original soundscapes influenced by skylines, highways, islands and low tides. Soul Mechanics are a funk, soul and jazz jam band who frequently collaborate with local MCs, in particular, Master Wolf. From Brisbane’s scorched underground, tropical goth visionaries Local Authority deliver luscious new ways to be sad. Johnny Cyrus and His Band of Ghosts. is a small group who perform Americana-style Drone music and are based in Ipswich, Queensland. The bands favourite to play live, each instrument gently arrives before the song eventually departs with full sails. Each member performs with deep knowledge of the whole and never strays far from the trail, instead, working in unity to perfectly deliver what the song needs. Brisbane alt. folk and psych rock band Fingerless weave hazy tales of cosmic discovery and every day whimsy into crunchy musical nuggets for everyone to enjoy. As clouds of sunlight float by, this cosmodelic hymn will make you sway those little legs. Psychedelic rock/folk, shoegaze.We're putting our best foot forward. Emerging from the always nebulous fringe-fringe scene of Brisbane’s post-punk/shoegaze underground during 2013, Edith Thomas Furey is the solo experiment of Joel Glazebrook. A relentless barrage of lo-fi incoherence, Wednesday pulses towards a climax that becomes a meditation on the concept of nothingness. Recorded by the artist on four-track tape machine, Wednesday mates the rollicking fuzz of early Joy Division with the anthemic elation (somewhat misplaced) of The Boss. Cloud Tangle makes music that is as devastating as it is beautiful. These are intricate bedroom recordings that feature ethereal vocals, guitar, organ and layered synths to create melancholic ambiance. The opening track of Cloud Tangle's debut EP, 'Always Falling' is a short burst of tension amongst dark melodic ambience. Subtle organ and guitar trickle away to a soft climax of raindrop percussion and swirling reverb-drenched licks.